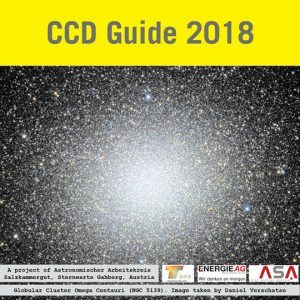 Every year since 1997, the Astronomischer Arbeitskreis Salzkammergut astronomy club in Austria has published the CCD Guide in DVD format, which assists astrophotographers in planning their imaging projects. Besides a huge number of reference images, the CCD-Guide contains software to find images, to view images and to obtain all necessary data. The newest release contains more than 4,000 reference images + 1,500 archive images of 53 astrophotographers. You can order the CCD-Guide 2018 at a price of 29 € + postage. All users of older CCD-Guide versions can buy an update for the new release 2018 at a price of 19 € + postage. – Filter the images by different criteria, e.g. coordinates, object type, object size, constellation, catalogue, observer, camera, telescope or date. – Minimal system requirements: CCD-Guide is executable on all current Windows PCs (starting with Windows XP) without installation.